Four years ago today, the light known as Kurt Vonnegut, Jr. was extinguished. But like a dead star, his light still radiates. I guess the fact that I'm taking time to write this after being on blogging hiatus for so long goes to show that Vonnegut was, and remains, my favorite author of all time. I was first exposed to Vonnegut back in about '99 when I was in the navy. We had reached that point of the deployment when everyone started swapping books. My best friend gave me his copy of Slaughterhouse-Five. If I remember properly, I read the book in just over a day. I thought it was pretty good, but when I tried to read another book, Vonnegut's words were stuck in my head. I read it a second time. Oddly enough, it was about five years later before I read another Vonnegut book. 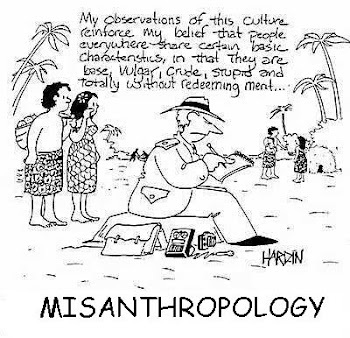 I was a junior in college and had recently changed my major to anthropology. When I heard that Vonnegut was awarded his MA in anthropology based on the strength of Cat's Cradle, I had to read it. I've been in love with his works ever since. I'm currently on a mission to read everything the man has ever written. So far, I've got 21 of his books under my belt. It's not his character development that piques my interest. It's not always his message, either. What draws me in about Vonnegut's writing is the feeling that you're not so much reading as you're being told a story by a kindly uncle - the one you would dearly hope to see at those awkward family gatherings in the winter. He didn't feel the need to talk down to his readers by using difficult language. He just wanted to tell you a story. Once upon a time, Vonnegut would have been considered a great philosopher. He was a social critic in the tradition of Socrates. He didn't go around exposing people's ignorance through endless questioning, but both had been accused of corrupting the youth. He preached a sort of benevolence that we all should try a little harder to achieve. He hoped for a idyllic world that he knew was beyond reach, but that didn't stop him from reaching for it anyway. Vonnegut was also one of the few literary greats to be born of scientific DNA. He had been educated in chemistry and anthropology. He rubbed elbows with scientists and engineers during his time as a PR man for General Electric. Even his brother Bernard was a scientist of note. In Palm Sunday, he remarked that good writers weren't to be found in English departments, but in chemistry, zoology, anthropology, and physics departments. "That's where the writers are most likely to be," he said.